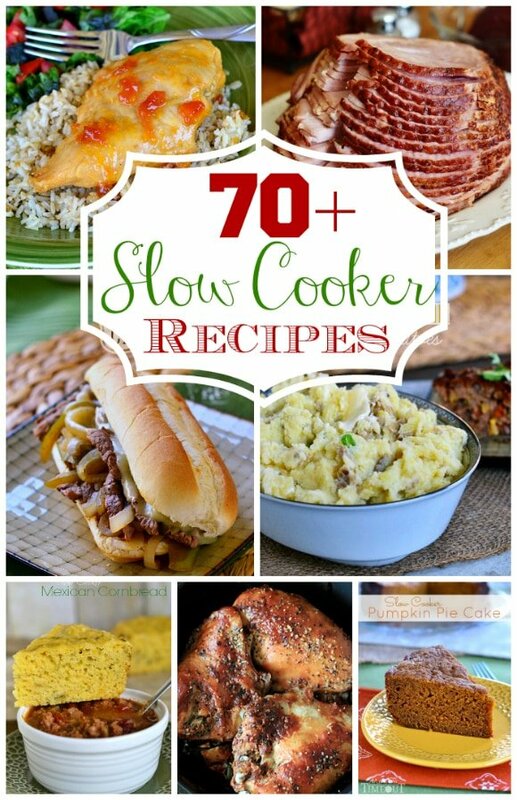 Over 70 Delicious Slow Cooker Recipes! Time to dust off that slow cooker and get cooking! I’ve rounded up over 70 slow cooker recipes for you and your family to enjoy! It is most definitely slow cooker season and to celebrate I’ve rounded up more than 70 delicious slow cooker recipes for you! Here you’ll find soups, sandwiches, sides, desserts, and more! I know there is a lot to love here so if you’d like to pin some of these recipes PLEASE click on the image and pin from the source! You can of course pin the entire collection using the collage at the top of the post 🙂 Take a look around and let me know which one is your favorite! I’m so glad you found this round-up helpful Kia! Thanks for stopping by! Perfect! Thank you so much for these recipes. I’ve liked you on FB so I can continue to receive great ideas. That’s awesome Heidi – thank you! Happy New Year! I’m so glad you put this together. I use my slow cooker almost everyday in the colder months! All of these recipes are calling my name! Thanks for including my Banana Pepper Roast. FABULOUS round up! I love crock pot recipes and this is just what I needed for fall and winter! We are slow cooker fans here too! Thanks Kristen! I love my Slow Cooker so I’m so happy to find this link! Thank you! Oh me too Pamela! Thanks for stopping by! Trish, this is one awesome round up!! There are so many recipes I want to try!! I love giving my slow cooker a work out in the winter. Thank you for including my pork soup!! Awesome round up, Trish!! Thanks bunches for including my Enchilada tacos! Have a great weekend. Absolutely Kristi – thank you! THANK YOU Trish!!!!!!!!!!!! I can’t even tell you what a wonderful surprise it was to see 3 of my recipes here. You totally MADE MY MONDAY!!! Hope yours is great! You are so welcome Gina! You know I love YOU and your recipes, right? 🙂 Thanks for the sweet comment girl! I cannot seem to open this at all…any suggestions? You just have to click on the picture of the recipe that you want to look at Jennifer and it will take you to the appropriate page. Love this! I pinned the whole bunch because so many of the recipes look great. Thanks for pulling together this list! That’s awesome Blair – thank you!